This isn’t just true for bouncing around Manhattan or Brooklyn, it’s also true for getting to and from New York’s airports. In this post, I’ll focus on JFK. For a while Lyft struggled to get access to pick up passengers from New York City’s airports, but were ultimately given the green light in late 2014. That’s good news because you have more ground transportation options to get into Manhattan outside of waiting in that horrible, winding taxi line, dealing with a shuttle that has six drop offs before you, or hauling your luggage onto the subway at rush hour. Of all the options, Lyft Line *can* be one of the cheapest door-to-door options available to you. 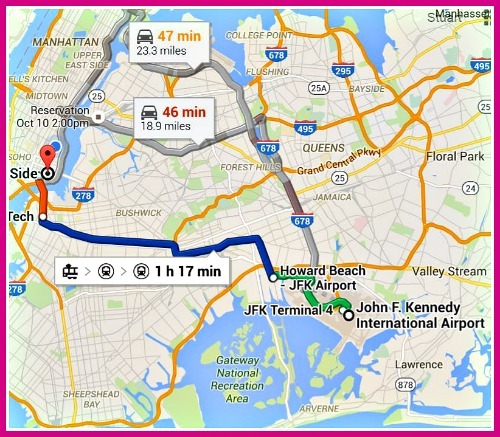 As someone that travels often for work, I’ve used Lyft more than a handful of times coming out of John F. Kennedy airport. To Alphabet City (East Village) where I live, I’ve had fares range from anywhere from $25-$50. My first time using Lyft to Manhattan was $28, the second time was $49, a couple other Lyft Lines cost me $37 and $49 and there were a few fares that I forgot. Even at the high end, Lyft is still cheaper than the $55 flat fee for taxis (and again, you don’t have to wait in the crazy taxi line) and more convenient than a $25 Super Shuttle. 1. SAVE 25-50% by using Lyft Line as opposed to requesting a regular Lyft. There’s a chance you’ll share a ride home with another passenger, and sometimes you’re the lone passenger. 2. SAVE 15-25% by choosing 10-minute match if given the option after requesting Line. Lyft Line allows you to see the rate before requesting the ride so start checking the app as soon as you near the baggage area. If you see a rate that agrees with you, don’t close the app. Leave it on that screen as fares vary moment to moment. 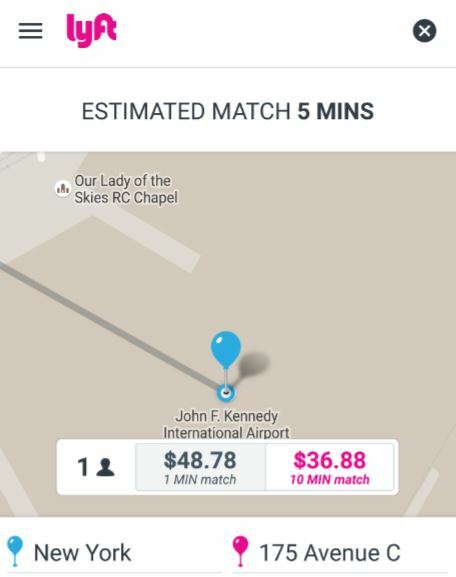 To make ground transportation via Lyft efficient, hail the Lyft Line and start the 10-minute match as soon as you grab up all your luggage and are ready to leave the airport. And remember, Lyft Lines allow you one minute once they pull up to the agreed meeting spot, once that minute is up, the Driver can mark you a sa no-show and you’re charged for that fare. I’m sure there’s flexibility to this rule considering the chaos at JFK, but just so you know everything going into it.